Feel like hanging out in downtown this weekend? The Shinmai Media Garden would be a good option to visit. 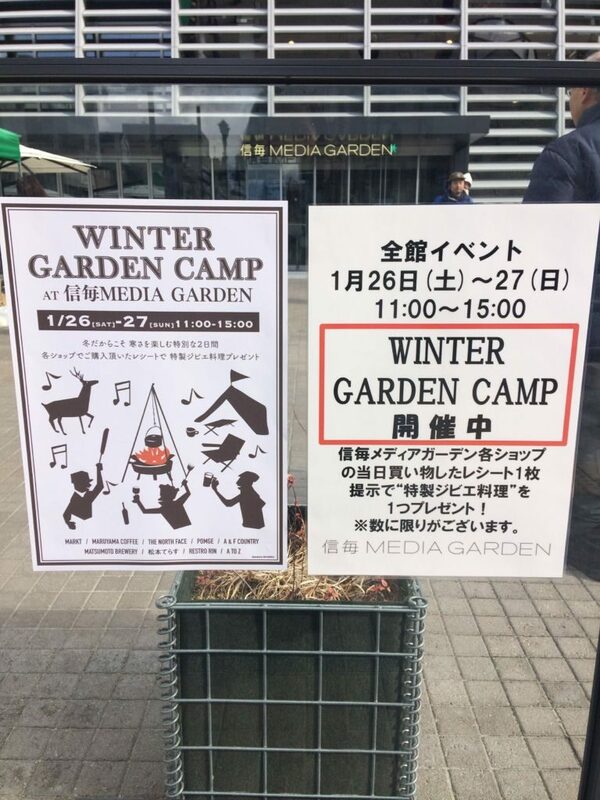 The special event "WINTER GARDEN CAMP" is being held on Saturday, Jan 26 to Sunday, Jan 27. Right in front of the building, there will be a variety of the outdoor & camping goods on display as well as some food & drink stalls set up. You will find the skewered meat (ground venison & wild boar mix) grilling over the chacoal. 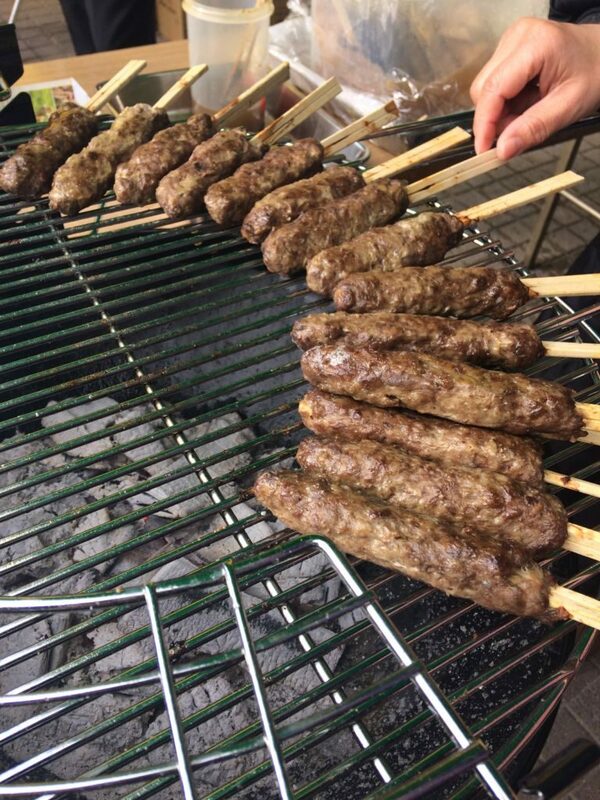 Actually, these grilled skewers are not for sale directly. 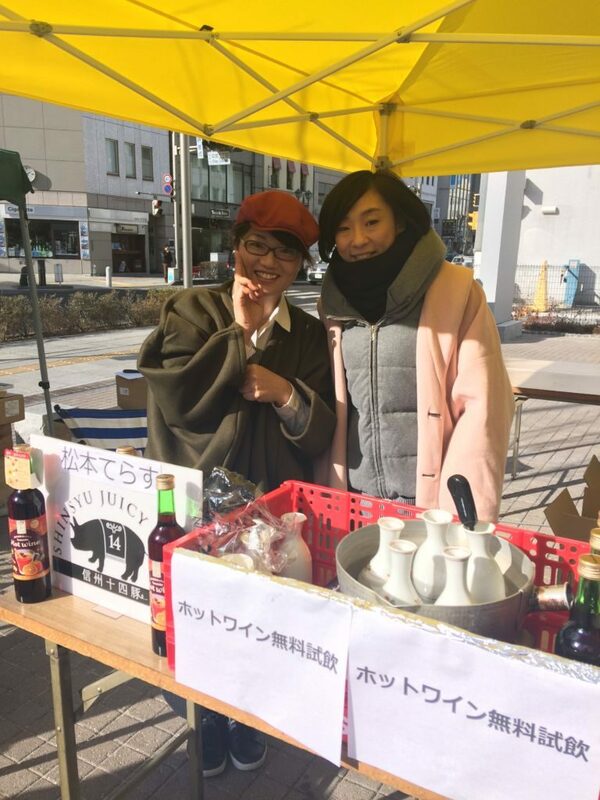 When you buy something at any shops in the building, keep the receipt and bring it to the staff at the BBQ stall. You can then get one skewer of the sizzling meat for free!